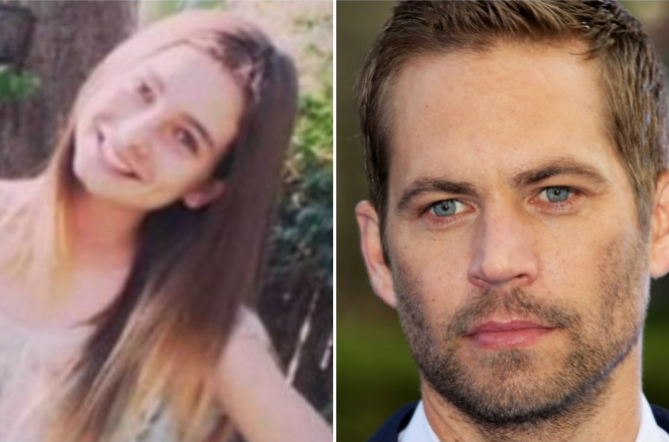 Paul Walker's daughter Meadow and her mother Rebecca were blindsided by Paul's mother's bid for guardianship and are very disgusted with her actions. Apparently Paul Walker's mother's move to become her granddaughter's legal guardian was not a unanimous decision. "Everyone was taken by surprise," a source close to the situation exclusively tells E! News when asked about Cheryl Ann Walker's petition to become 15-year-old Meadow Walker's legal guardian, alleging in her court filing that Meadow's mom has a drinking problem. "This has been hard on everyone close to them. [Meadow and her mom] didn't know," the insider continued. "There have been discussions but no one told them they were going ahead with it. They first heard about it when they saw it on TMZ. They are very disgusted by this. It's completely thoughtless and disrespectful." Meadow's mother is Walker ex Rebecca Soteros. According to Cheryl Ann's petition, they have both been living with her and Meadow has been in her home since before her dad'sdeath in a car crash on Nov. 30. "Knowing Rebecca, I know she would never let anyone else care for her daughter. She loves her," the source says. "She has always been and will always be a good mother and there is no reason for a change. She will fight this, I'm sure, until her last breath to be [Meadow's] mom. All she wants is to have her child." Cheryl Ann did not say anything in her filing about altering Meadow or Soteros' living arrangement. She mainly notes that it would be "necessary and convenient for Petitioner to be appointed as the guardian of the person [Meadow] and of [Walker's] estate," of which Meadow was the sole beneficiary. Our source, however, says that Meadow and Soteros are not currently living with Cheryl Ann, but rather had stayed there "on and off" there while looking for a new place. From 2011 to 2013, the source says, mother and daughter lived together in a home in Santa Barbara, Calif., that Walker had been paying for and Soteros was her daughter's sole caretaker. They had previously lived in Hawaii, but Meadow wanted to be closer to her dad. A few months before his death, Meadow did move in with Cheryl Ann in L.A. to be able to see her father more often. As for the drinking problem alleged by Cheryl Ann, the insider says, "It's just crazy how people blow things out of proportion. She doesn't have a problem or a serious drinking problem. From what I know, she has never once been incapable of not taking care of her children...Rebecca is a great mother and Meadow is a very happy child. Their relationship is excellent. They are good friends and very close just like any mother and daughter. Rebecca was basically the only parent raising Meadow for the first 12 years of her life. Rebecca is a former school teacher and good with children." Soteros does, however, have two DUIs on her record. She pleaded guilty to driving under the influence following an arrest on Oct. 18, 2003, in Newport Beach, Calif., and there is a more recent case pending in Hawaii, according to public records. A hearing is scheduled for May 2 in Hawaii. No minors were involved in either incident.